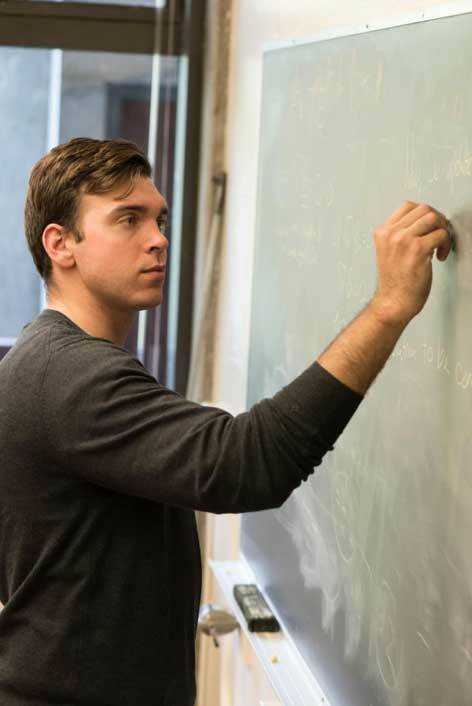 Doctoral student Steven Reeves had the opportunity to apply his mathematical knowledge to improve a computational code that cosmologists use to study the universe. His experience was made possible through the National Science Foundation’s Mathematical Sciences Graduate Internship Program. Since he was a child, Steven Reeves has been captivated by science. Reeves borrowed conceptual physics books from his older brothers. He read and reread “The Universe in a Nutshell” by Stephen Hawking because of his fascination with galaxies, the universe, and beyond. Now pursuing a doctoral degree in applied mathematics and statistics at the University of California, Santa Cruz, Reeves had the opportunity to propel his love for science even further through the National Science Foundation’s (NSF) Mathematical Sciences Graduate Internship (MSGI) Program. Assigned to Lawrence Berkeley National Laboratory, Berkeley, California, Reeves joined the Center for Computational Science and Engineering under the mentorship of Ann Almgren, Ph.D. For 10 weeks, Reeves was tasked with adapting an existing cosmology simulation code, called Nyx, to use magnetohydrodynamics. Magnetohydrodynamics is the study of matter moving in an electromagnetic field. Nyx is a computer code used in scientific exploration; it specializes in cosmological flows where dark matter and gas interact gravitationally. The addition of magnetohydrodynamics would include magnetic field interactions with gas. “The more we understand the universe the more we can do in it,” Reeves reflected. “I loved my time at the lab. The best part of the program was being able to work alongside some of the best people in my field on problems that I find truly interesting,” said Reeves. Reeves, who primarily studies computational fluid dynamics as related to astrophysics, appreciated the opportunity to apply his interests in a meaningful way. “I feel like my elementary school self is catching up to me with his Stephen Hawking book, telling me to look at the pretty figures,” Reeves commented. His interest in mathematics and the greater universe continues on. Reeves returned to the University of California, Santa Cruz, where he plans to finish his doctoral degree in 2019. He continues to collaborate with Almgren and their colleagues on a research paper, which is to be submitted for publication.